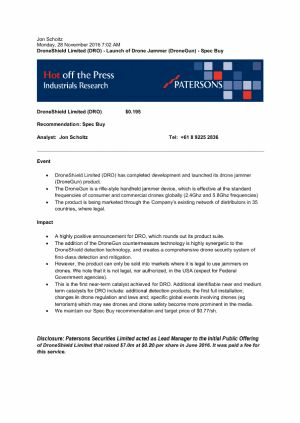 Sydney, July 23, 2018 AEST (ABN Newswire) - DroneShield Ltd ( ASX:DRO) ( OTCMKTS:DRSHF) ("DroneShield") and Intelligent Security Integration Aust. Pty Ltd ("ISI") are pleased to release the following joint statement. - DroneShield and Intelligent Security Integration Aust. (ISI) have partnered on Rapid Scout(R) HQ, a vehicle with integrated counterdrone detect and defeat solution. - A unique combination of DroneShield's counterdrone system with ISI's on-vehicle and electro-optics surveillance system. - The companies to exhibit Rapid Scout(R) HQ with counterdrone capability at the Land Forces 2018 exhibition in Adelaide in September 2018. 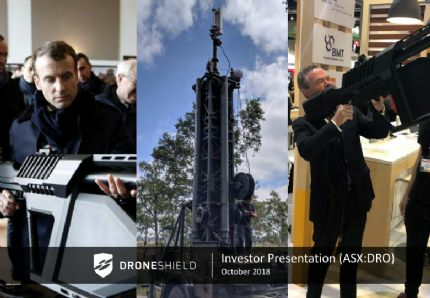 DroneShield ( ASX:DRO) (or DRO.AU) is a public Australian company whose products provide protection from intrusions by commercial / consumer grade drones to people and critical infrastructure. DroneShield's products include DroneSentinel(TM) (a sensor fusion, multi-method drone detection system), DroneSentry(TM) (a combined detection and interdiction system), DroneGun(TM) (a hanheld rifle-shaped drone-mitigation device), RadarZero(TM) (a portable drone detection radar) and DroneCannon(TM) (a counterdrone jammer). ISI is a Melbourne based Australian private company specialising in security and surveillance equipment. Its flagship product, Rapid Scout(R) HQ and its associated Rapid Scout(R) surveillance sensors, are perfect for use anywhere traditional CCTV has limited or no coverage. Its unique design features and ISI's ability to customise the vehicle for use in any situation, have led to demand from defence and government agencies, emergency service providers, and law enforcement and private security organisations around the Asia Pacific region. DroneShield and ISI have partnered on creating the next version of Rapid Scout(R) HQ, a vehicle with an intergrated counterdrone detect and defeat solution. 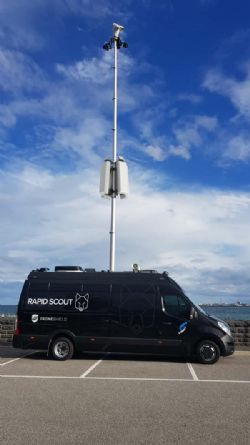 The prior version of Rapid Scout(R) HQ incorporated a vehicle with an advanced surveillance capability, through a combination of a sophisticated mast-mounted CCTV platform on a vehicle. Going forward, Rapid Scout(R) will incorporate a counterdrone module containing DroneShield's RadarZero(TM) (portable drone detection radar), RfOne(TM) (drone detection via an RF direction finder) and/or DroneCannon(TM) (counterdrone jammer) modules into the Rapid Scout(R) platform. The resulting product is believed to be a first of its kind, a non-military vehicle with a suite of counterdrone multisensor detect and defeat solutions. 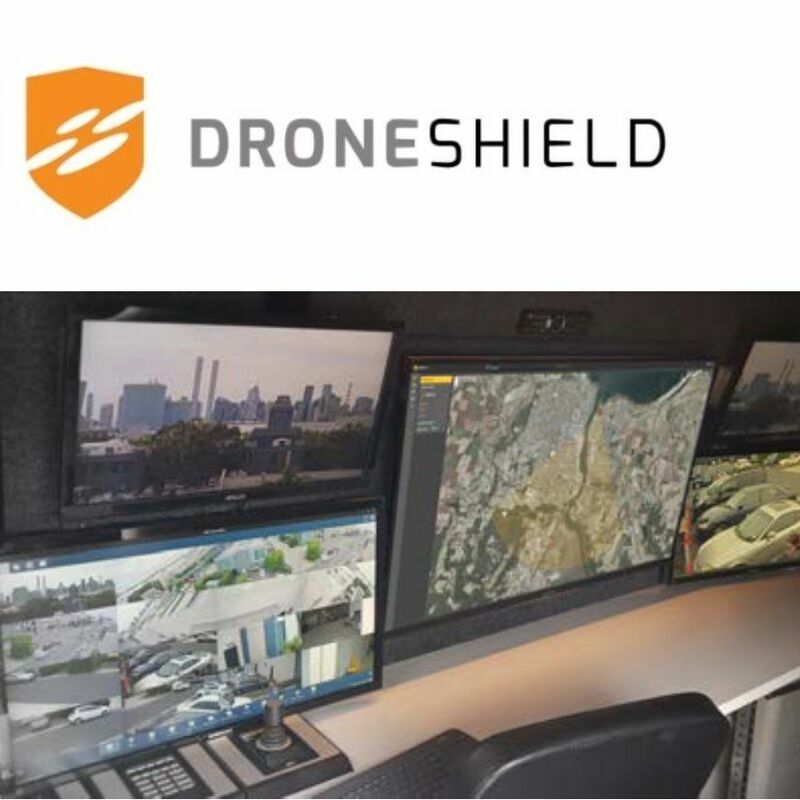 Oleg Vornik, DroneShield's CEO commented: "The partnership with an onvehicle surveillance market leader ISI allows DroneShield to enter the vehicle-based law enforcement, security and military market, using a proven vehicle platform that ISI provides. There is a considerable interest in the market today for on-vehicle counterdrone products, which Rapid Scout(R) is well placed to meet using DroneShield's capability." Stephen Bell, ISI Managing Director said: "We are excited about this partnership and believe our vehicle-based surveillance capabilities combined with DroneShield's counterdrone sector leadership enable this market leading product to meet customer requiremements in the counterdrone space." 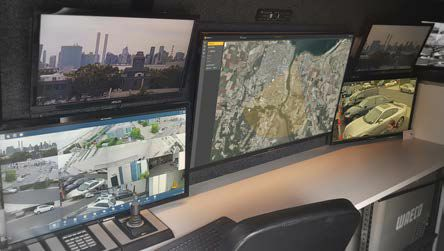 Intelligent Security Integration Australia Pty Ltd (ISI) has over 20 years of direct experience in security and surveillance equipment sales, installation and support. The Company has created the Rapid Scout(R) HQ and Rapid Scout(R) products, perfect for use anywhere traditional CCTV has limited or no coverage.